COMPANY NAME plans to become the leading provider of concrete formwork services in the area. This means always having the best and most efficient facilities, processes, and people. To achieve this, COMPANY NAME is investing in many ways that will pay off in competitive advantages for its customers. The company's overall strategy will be based on a continuing improvement process of setting objectives, measuring results, and providing feedback to facilitate further growth and progress. 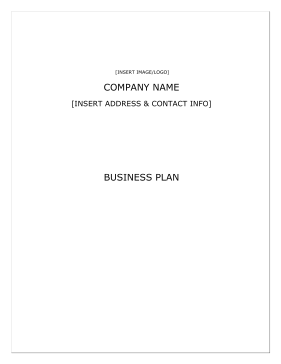 COMPANY NAME is a [STATE] sole-proprietorship company established in 1991. INSERT NAME leads the company team with over thirty years of experience in the concrete construction industry. COMPANY NAME has developed sophisticated formwork solutions for some of the most complex construction projects being done today. The company's standard form systems are versatile and completely adaptable to a variety of configurations such as Y-walls, shafts, and circular walls. COMPANY NAME can adapt to almost any construction requirement that calls for forming. The company's expert staff has the capability to design and manufacture any custom component or accessory item that may be required to complete the formwork package. The primary function of the Company is to provide concrete and construction work for residential homes and commercial businesses. The purpose of this plan is to attain grant funding in the amount of $300,000 to pay down existing short and long-term debt, upgrade equipment, purchase a metal building and to add additional employees to assist in the work demands. COMPANY NAME has the following objectives. 1. Work efficiently and effectively - The company prides itself in doing the job right the first time. Completing work in a timely basis within budget. The Company has been in business since 2001 and guarantees the work. 2. Expand Territory - The Company currently works in the [CITY], [STATE] area and is one of the largest in [COUNTY] County. The Company would like to expand to the surrounding areas and service more clientele. 3. Customer Service - Give our customers the highest quality service. 4. Hire Construction Employees - The Company wants to hire additional employees in 2010 and one in 2011. COMPANY NAME prides itself as a company people want to work for. The company will offer a fair hourly pay with benefits and pension plans. 5. Purchase Trucks and Equipment - The Company wants to update the truck fleet and pay off existing debt on equipment. The mission of COMPANY NAME is to provide quality service at competitive pricing. COMPANY NAME wants to remain one of the largest concrete construction companies in [COUNTY] County and aims to expand to surrounding territories. 1. Over 30 years of experience in the concrete and construction industry. 2. An understanding of what must occur for the success of the project at time of completion as well as long term. 3. Have the well rounded knowledge and skill to successfully complete any project. 4. Guarantee of the company using the highest grade of materials available. 5. Proper staffing to complete jobs on a timely basis and within budget.